Episode 4 of The Gobetweenies aired on Radio 4 on Friday. You can download an MP3 of it here. It will be repeated on BBC Radio 4 Extra on Wednesday at 12:30am and 22:00pm. Thanks as always go to Lora. The Daily Mail have published the above set of photos of David and Catherine on stage in Much Ado About Nothing at the Wyndham's Theatre, London. The show is currently in previews with the official opening night taking place tomorrow. You can read the Daily Mail article on their website here. 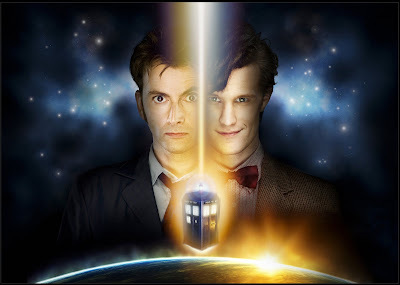 The Doctor Who News Page is reporting that David has been nominated for Best Male Performance in the 2011 Constellation Awards for his role as the Doctor in The End Of Time Part Two, also up for the same award is Matt Smith for his role as the Doctor in A Christmas Carol. 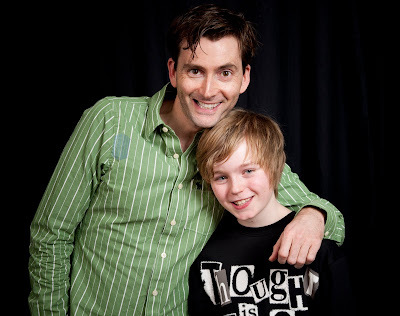 David won the award last year for his portrayal of the Doctor in The Waters Of Mars. A full list of nominees can be found on the awards website here. Winners will be announced on 16th July 2011.
io9 report that the MPAA has given David's new movie Fright Night an R rating for "for bloody horror violence, and language including some sexual references". The film is released in the USA on 19th August 2011 and in the UK on 2nd September 2011. The BBC podcast site has now uploaded David reading the Hans Christian Andersen story The Brave Tin Soldier. When it comes to remakes you never quite know what you’re going to get in the end. This is especially true when the movie being remade is 80’s horror cult classic Fright Night. How do you re-imagine a film already known for campy goodness for the audience of today? Simple! Give us a believable setting and top-notch actors. Throw in a fun story line, 3D effects and you might just have something. Thanks to our friends at Orion Books we have a VERY exciting competition for you! 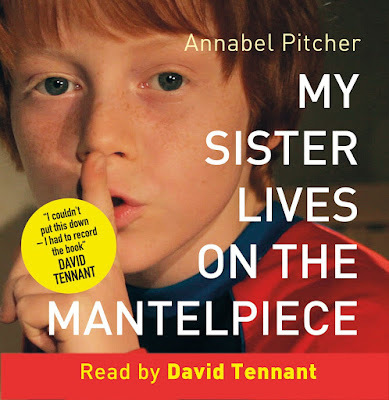 You could win one of three copies of their brilliant new audio book, My Sister Lives On The Mantlepiece, read by David Tennant. 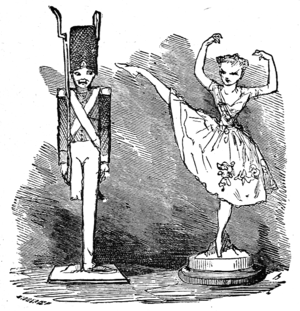 The air dates for the Hans Christian Andersen podcasts that David will be reading have been confirmed as The Brave Tin Soldier on 24th May 2011 and The Fir Tree on 28th June 2011. You can visit the official BBC site here. It has been confirmed on the official Much Ado About Nothing site here, that David will be apperaing in an episode of a new comedy, This Is Jinsy, on Sky Atlantic this summer. 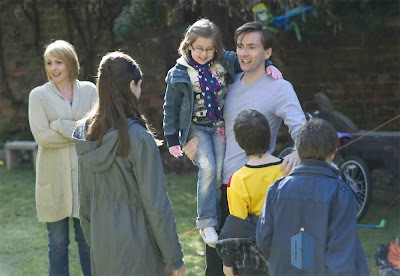 The pilot, which aired last year on BBC Three earnt a prestigious Rose d'Or award nomination. Sky Atlantic confirmed it had picked up the series earlier this year here. We've just discovered a delightful addition to our audio book collection and the rest of you with children will no doubt agree! 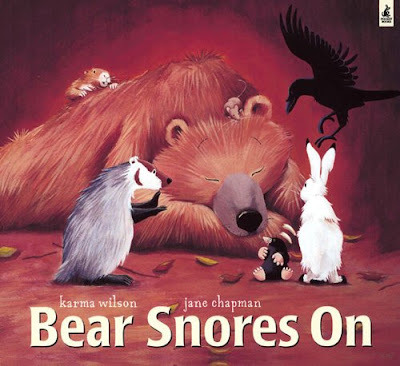 David has narrated Bear Snores On by Karma Wilson and Jane Chapman and it's been released in a book and CD set which is now available in our shop for £5.99 here. It seems like Bear can sleep through anything. As a succession of animals enter his cave to escape the fierce storm, he continues to snore. Mouse makes a nice warm fire, Hare cooks popcorn and Badger brings treats...They are having a great time. But when Bear wakes up and realises he's missed out on the fun, his visitors fear the worst. Can Bear be persuaded to join the party? This read-aloud rhyming story has fun, suspense and a happy ending - with Jane Chapman's beautiful, captivating illustrations and Karma Wilson's absorbing, lyrical words perfectly depicting the companionship of the warm, cosy cave and the contrast with the wild storm outside. Episode 3 of The Gobetweenies aired this morning on Radio 4. The last episode of The Gobetweenies, Befriending Freddie, will air on Friday 27th May at 11:30am on BBC Radio 4. 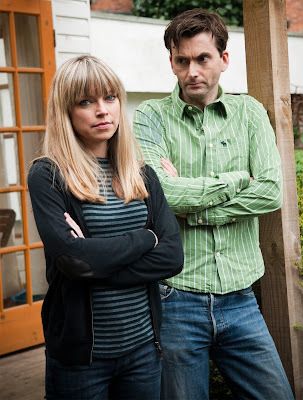 David Tennant and Sarah Alexander star as the exes determined to be double not single parents and bring the kids up together apart. If it's Wednesday it must be Holloway. When Lucy refuses to miss out on her best friend's birthday because of a planned visit to her stepfather in New York, Mimi fails to get Joe's back-up. 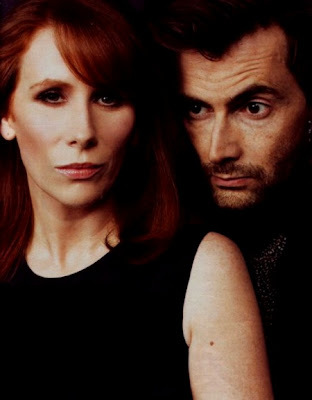 David & Catherine Tate were interviewed about Much Ado About Nothing on last night's Front Row. Download an MP3 of it here. Thanks to Orion Books we have a special preview clip of David narrating My Sister Lives On The Mantlepiece. Listen to it here! Buy it in our shop here! We've had lots of interest in where to get David's Superman Converse since he appeared on The Graham Norton Show wearing a pair earlier this month. We're pleased to say we now stock them in our shop and you can purchase a pair for £49.99 here. David has been nominated for Best Actor for his role in Single Father at this year's TV Choice Awards, Single Father is also nominated for Best New Drama. This stage of voting is the longlist nominees. This stage closes at midnight on 10th June and then the shortlist will be announced. Please click here to vote for David and Single Father! 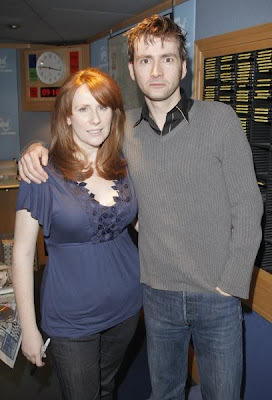 David and Catherine were featured on yesterday's Today programme on BBC Radio 4. David and Catherine will be interviewed about their new play Much Ado About Nothing on Front Row tomorrow from 7.15pm on BBC Radio 4. 4th May 2011: Wembley Stadium has announced plans to host its biggest ever battle as 25 legendary music and sporting events go head to head to be crowned the stadium’s ‘greatest ever’. In the ultimate clash of the titans rock n’ roll royalty in the form of Queen, the Rolling Stones and Foo Fighters find themselves up against footballing legends Stuart Pearce and Geoff Hurst with wildcards Evel Knievel and Martin Offiah battling for fan votes and the coveted title. According to Screen Daily they were chatting to Paul Raphael of Starfield Productions at Cannes and he's revealed that David is to star in a new project he's working on called The Miracle. On the 6th February 1958 a tragedy took place that changed the whole of sporting history. A plane carrying Matt Busby and the Manchester United first team, along with some staff, friends and supporters, crashed as it made its third attempt to take off from a snowbound runway. Twenty-three of the forty-four people on board the plane died, including eight players. Yet, incredibly, up until now, no dramatisation has been made of these events and the journey that Manchester United had to make to recover from those devastating losses. Episode 3 of The Gobetweenies, Commendation and Competition, will air on Friday 20th May at 11:30am on BBC Radio 4. Lucy gets inspired by art and creates her own Angel of the North London - but she is confused by Joe's refusal to take her to an exhibition of his own work. Meanwhile Mimi is stuck as usual with annoying Helen who overuses the word 'achingly', hits on Joe and is oddly pretending to find Tom's lame jokes a hoot. The second episode of The Gobetweenies aired this morning on Radio 4. Click here to download it. At last the trailer for Fright Night is here! David's appearance in the trailer is a bit blink and you'll miss it but he's definitely in there! See the cap above! 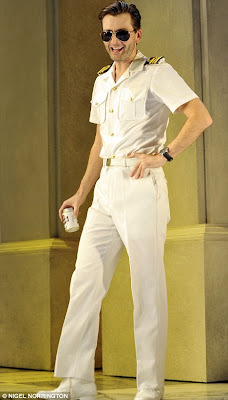 Want to see David's stage version of Much Ado About Nothing released on DVD? Well then you need to sign this petition set up by some very enterprising fans! Just a quick update to remind you of the fabulous David Tennant merchandise available from our friends at Headway Essex. Click here to see the full range and remember your helping a great cause that helps survivors of brain injury and their families. David will be one of a selection of celebrity readers retelling the Tales Of Hans Christian Andersen for a new BBC podcast. 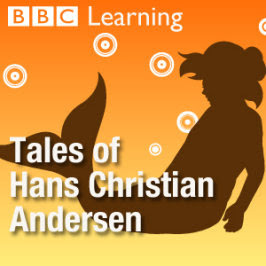 Eight of Hans Christian Andersen’s best-loved fairy stories, including The Little Mermaid, The Emperor’s New Clothes and The Ugly Duckling. Each story has been specially adapted for a young audience and is told by one of an outstanding team of readers: Anne-Marie Duff, Sir Derek Jacobi, David Tennant and Penelope Wilton. Podcasts are available on Tuesdays, beginning 3 May 2011. If you visit their website here there are already two stories read by Anne-Marie Duff up for you to download. 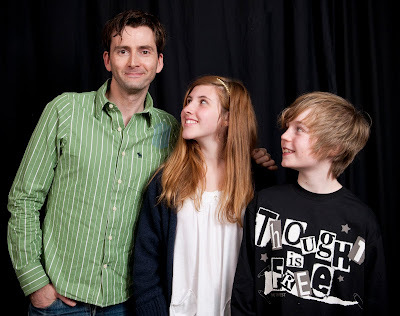 David will be reading The Brave Tin Soldier and The Fir Tree, times and dates to be confirmed. 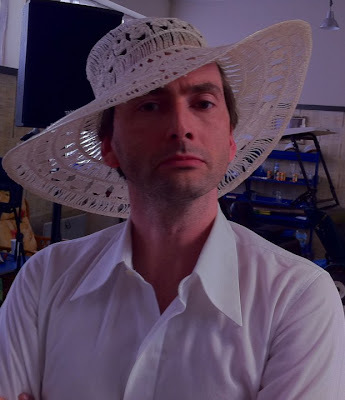 David has borrowed Catherine Tate's Much Ado About Nothing rehearsal hat to support the Hats 4 Headway campaign. As David says "It's not much to do to raise vital funds for Headway Essex. Please wear your hat 4 Headway, make a donation and help improve the lives of those living with brain injury." To make a donation please visit http://www.justgiving.com/headwayessex/Donate please email any photos of yourselves taking part in Hats 4 Headway to fundraising@headwayessex.org.uk. They may be added to the Headway Essex Facebook page and used in local press. Hanway Films have announced that The Decoy Bride will be screened at the 2011 Cannes Film Festival. The artwork for the new official tie in book of Much Ado About Nothing has been sent to us by Nick Hern Books. We're pleased to be able to offer 20% discount on the NHB script, with standard P&P rates (15% UK/20% Europe/25% ROW). Books will be dispatched week commencing 16th May 2011. 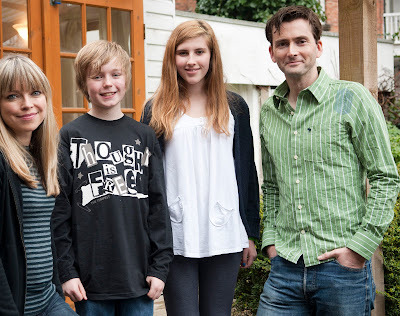 David has won a role in a new 3D animated adventure film from Aardman Animations. 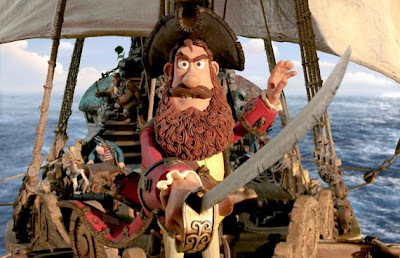 Actor Hugh Grant will voice a bumbling pirate captain in a 3D animated adventure from the team behind the Oscar-winning Wallace and Gromit films. The Pirates! In an Adventure with Scientists will use the same stop-motion techiques of previous Aardman films, such as Chicken Run. Salma Hayek will co-star as his arch-rival Cutlass Liz, with David Tennant as a young Charles Darwin. Martin Freeman, Brian Blessed and Imelda Staunton will also feature. "I'm so grateful to the entire cast for their talent and energy," said Aardman's Peter Lord, director of the film. "Only Hugh could anchor this story of love, loyalty, greed and nautical high-jinks." Lord, a founding partner of British-based Aardman Animations, also co-directed Chicken Run, with Nick Park. 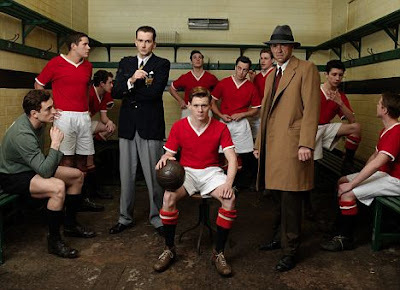 The film, to be distributed by Columbia Pictures, will be released on 30 March 2012. The above article is featured in the latest issue of Doctor Who Magazine (#431 1st June 2011) which is out now across the UK priced at £4.50. The second episode of The Gobetweenies, Sniffing Stevie and the Gym Horse, airs on Friday 13th May at 11:30am on BBC Radio 4. Download Episode 1 Of The Gobetweenies, Meet The Millers, here. The recent episode of The Graham Norton Show featuring David Tennant and Catherine Tate as guests is to be shown on BBC America on Saturday 7th May at 10pm. If you can't wait that long you can watch the episode online here. To coincide in with David's appearance as Benedick at the Wyndham's Theatre this summer a new official tie in issue of Much Ado About Nothing is being published by Nick Hern Books and we're pleased to tell you we've teamed up with them to offer visitors to the site an amazingly good offer with 20% off the usual £6.99 price of the book! 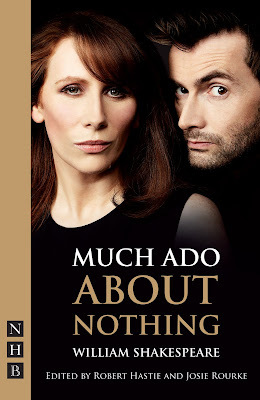 The official tie-in edition published alongside the 2011 production at Wyndham’s Theatre, London starring David Tennant as Benedick and Catherine Tate as Beatrice.